Orbis International director Amy Tan and John Courtright, director of Programs at Structural Integrity Engineering (SIE), gave an eye-opening presentation about how APEX’s official partner charity is helping to prevent and treat blindness around the world. 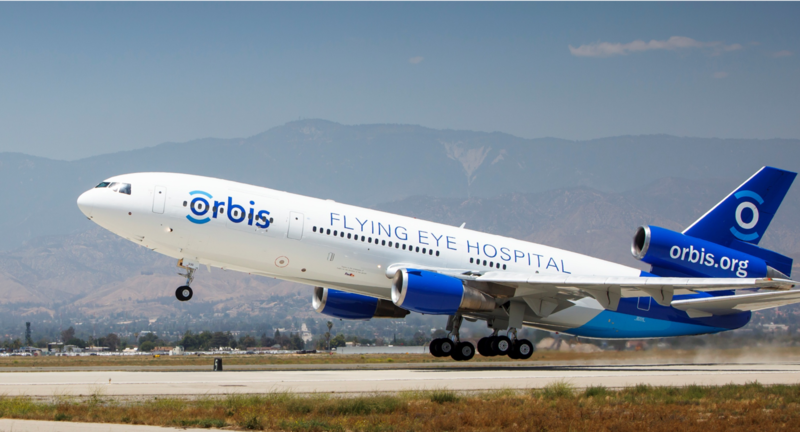 Orbis’ third-generation Flying Eye Hospital completed its inaugural mission to Shenyang in September, where a team of volunteer doctors performed sight-restoring surgeries on children and local community members. Orbis has also provided training to doctors in China, in order to help create a sustainable eye healthcare infrastructure. The third-generation Flying Eye Hospital, which includes a 46-seat classroom, sterilization room and operating room, serves as both a hospital and a classroom, featuring 3-D technology and live broadcast capabilities so that students can observe surgeries from the doctor’s point of view, in real time. SIE is one of many APEX member companies that helped make the mission possible by providing the technical engineering, design, certification and systems integration necessary to convert a FedEx MD-10 freighter into a fully functional medical facility. Other APEX companies involved include Carlisle Interconnect Technologies, Monogram Systems and Zodiac Aerospace.